← Get to Know Earth Day Initiative! Etsy. Earth Day Initiative, and HarborLAB at Work! Etsy doing the crafting this time. 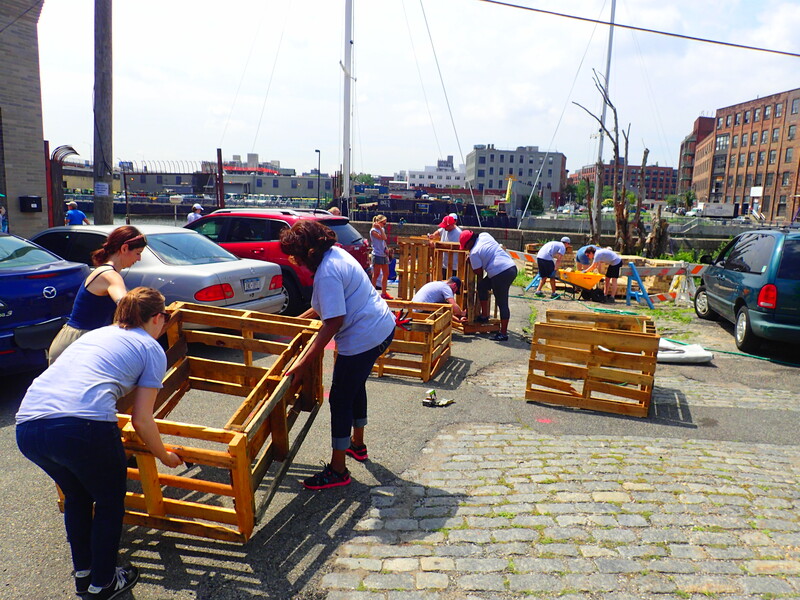 HarborLAB had a wonderful and productive time working on its GreenLaunch with Etsy, thanks to our nonprofit fiscal sponsor Earth Day Initiative! Two waves of volunteers made seed balls and wooden pallet planters, planted seedlings grown in eggshells, began creating our habitat restoration’s substrate soil, and moved bricks off site to free up space for greening and to make them available for donation. More details to come after the Clearwater Festival!